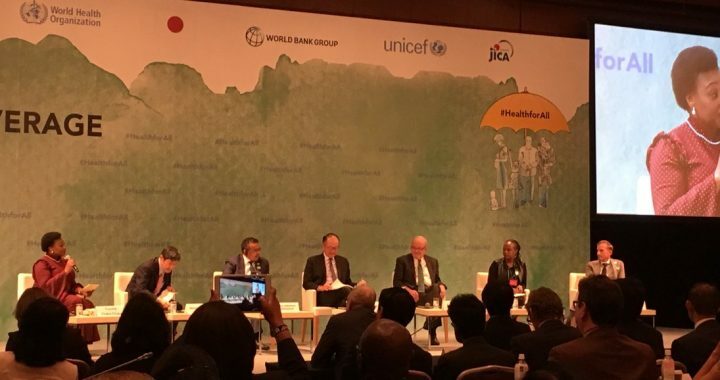 In October 2017 the GGG+Forum was held to encourage the Japanese government to increase financial resources required to achieve global health security for the UHC Summit and true to their word the Japanese Prime Minister Shinzo Abe pledged 2.9 billion dollars towards UHC and vowed that no one will be left behind. The UHC is about ensuring that people have access to the health care they need without suffering financial hardship. It also helps drive better health and development outcomes, the forum aims to galvanize the health sector, countries, development partners, civil society, and the private sector towards the common goal of UHC, including pandemic preparedness, and highlighting country success and breakthrough experiences to accelerate the progress of UHC. The Princess of Africa Foundation was part of the forum and Yvonne co-moderated the closing session of the forum where speakers such as the State Minister for Foreign Affairs, Japan, Mr Kazuyuki Nakane, President of the World Bank, Mr Jim Yong King and Director General at WHO, Dr. Tedros Adhanom Ghebreyesus… The forum was attended by more than 300 delegates and some civil society members were streaming online. The Princess of Africa Foundation was invited by the President of Toronto Raptors and the Founder of Gaints of Africa Foundation, Masai Ujiri, to speak at The Giant of Africa event in Toronto, Canada. The purpose of the event was to help Ujuri celebrate his hero Nelson Mandela and also commemorate the fourth anniversary of Mandela’s passing. 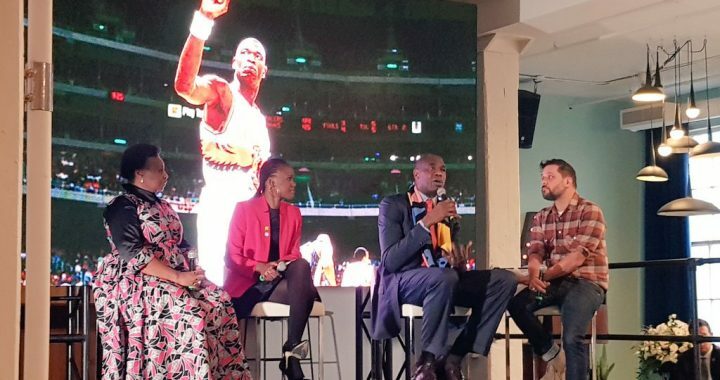 Yvonne was a part of a panel of esteemed guest such as Dikembe Mutombo, talking about her own experience of Mandela. The event started off with an intimate breakfast session in honor of the late South African President and Nobel Peace Prize winner Nelson Mandela, followed by a visit to school camp site to engage learners about freedom in South African context. On the night Yvonne Chaka Chaka emphasized that she will take the awards to other countries but first she wanted to do the awards at home as charity begins at home. The categories varied from Reggae, Rock & Pop, Gospel to Contemporary and Kwaito, the winners included The legendary Victor Masondo, Malie Kellie, Paul Hanmer, Sello Montwedi and the percussion ensemble Amapondo to name a few. “They are our unseen heroes in the music industry” said Yvonne. To make the night more fun, for lifetime achievement award category, BVSM applauded the veteran popular gospel star Deborah Fraser, music producer Thapelo Khomo and Dr Victor Khojane for their enormous contribution. 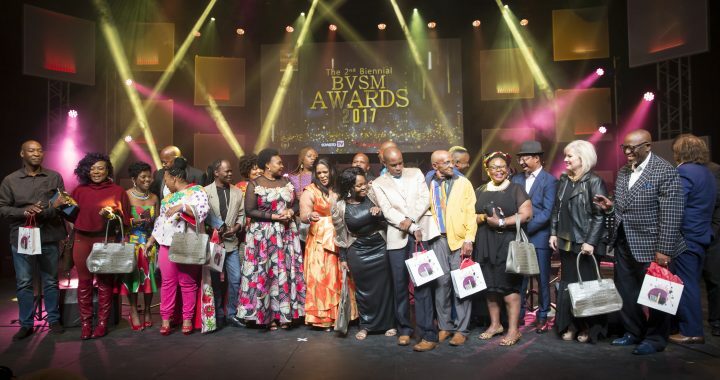 The BVSM awards identify and recognize backing vocalists and session musicians for their contribution towards the development of music in South Africa. These awards were first launched in October 2014 and they are the brainchild of Yvonne Chaka Chaka. The awards were truly amazing and brought together more than 500 guests that looked amazing and were dressed to the nines. The Princess of Africa Foundation would like to acknowledge all the sponsors without whom, the event would not have taken place; The Department of Arts and Culture, Nandos South Africa, Foschini, Lufi-D and Black Opal.